One hot summer day in 1922, two Greek American businessmen, George Polos and John Angelopoules, both traveling salesmen working out of Atlanta, met by chance in Chattanooga, Tennessee. Among other things, they talked about the growing wave of hostility that targeted their nationality and religion, It was a time when the Ku Klux Klan, reorganized in 1917 and thriving on militant patriotism, was enjoying a renaissance of hatred in the South. Meanwhile, in Washington DC, Congress and the Federal Government were discussing ways to stem the tide of ”less desirable” immigrants from ”certain” countries, which invariably included the Balkan nations. Both men agreed there was a real need for a patriotic organization that would direct and channel the energy of the Greek community in the United States, a group that would be politically nonpartisan and religiously non-sectarian. There was never a shortage of Greek fraternal organizations whose members came to America from the same region, island or village. These were the topika sornatia that tended to departmentalize the Greek American community, keeping it well outside of the larger, mainstream American community. These regional associations, along with the local parish church, brought the struggling immigrant some much-needed comfort satisfying the basic human need of “belonging,” In so many cases the members of these topika were instrumental in organizing and building the Greek Orthodox parish church across the land. Fortunate for future generations, many of these organizations are still around, So are the communities they helped establish. However, faced with the tenor of the times, Polos and Angelopoulos agreed an organization with a much larger, national scope was needed. The idea for a Pan-Hellenic organization wasn’t new. There had been the Pan-Hellenic Union, established in 1907, But victimized by its own fiscal mismanagement and charges that it was flat-out an agent of the Greek government, it suffered an ignoble end before the outbreak of World War I. Both men agreed that a truly American fraternity of Greeks was the order of the day a national group that could lead its members to rise above the political fights between Monarchists and Venizelists that typified Greek American community life, to its detriment. Both believed something that so many immigrants refused to admit: that the Greek settlers were here to stay. This was a reality the Greek community in the United States was slow to accept. The remarkable thing is that these two businessmen, determined to contribute to American society, not be devoured by it, didn’t just talk, They acted. They presented the idea to a group of twenty-five members of the Atlanta Greek community. Seventeen men offered their support, Now this group met in closed session, On July 26, 1922, the American Hellenic Educational Progressive Association-the Order of AHEPA was too a reality. AHEPA’s first decade was characterized by explosive growth, initially it was a fraternity based in the South and Southwest of the 32 local chapters established between September 26, 1922 and October 14, 1923, just three were in cities north of the Mason-Dixon Line. Appealing to a rising middle class of Greek Americans interested in climbing the proverbial ladder of success and committed to raising their families in America, AHEPA had 49 chapters and over 2,800 members by the end of 1924, By 1928 there were 192 chapters and over 17,000 members nationwide. Now many of the bigger chapters were in northern cities. Some of the larger cities were host to two or more AHEPA chapters. 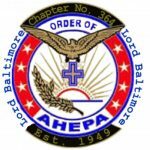 AHEPA would be inherently bettered suited for the transition from a strictly Greek-born membership to one that accommodated Greeks born in the old country and the New World. It would prove more in tune with what it recognized early on was the inevitability of assimilation resulting from undeniably permanent residence in a multi-national country like the United States. Nor was AHEPA as radical as its detractors charged. Once its super-patriotism cooled off somewhat, AHEPA adopted a blend of what its members considered the most positive aspects of both the Hellenic and American cultures. In 1924 AHEPA President VJ. Chebithes appealed to chapters to sponsor Greek orphans left homeless following the Asia Minor disaster of two years earlier. $5 a month was required to sponsor a child, and some AHEPA chapters sponsored as many as thirty. At its 1925 Chicago convention AHEPA urged the U.S. government to extend a $50 million loan to Greece-and the aid came through, $12,000 was appropriated for a scholarship fund. And, in an effort to keep peace in the volatile Greek American community, AHEPA took pain to emphasize it did not oppose the existence of the foreign-language press in the United States. In 1927 AHEPA raised more than $53,000 for charitable and philanthropic activities, The following year, in a matter of a few critical months, the members pooled over $40,000 to aid the city of Corinth, which had been devastated by an earthquake. AHEPA was making a difference, insisted its members, and on both sides of the Atlantic. In 1929 a corps of AHEPANs marched in President Herbert Hoover’s inaugural parade-a ”first” for any Hellenic-American group, It was a proud and genteel occasion that also included a visit to the White House. In 1932 AHEPA fought tooth-and-nail the speculations of the Wickersham Congressional Committee on Crime in the U.S. Its damning allegations infuriated the Greek American community, one of its victims. AHEPA, relying on as grass roots strength across the land, organized fact-finding forces in every state and succeeded in proving that the Wickersham Report was nothing more than a shameful and inaccurate sham. In this kind of activity AHEPA was an anti-defamation group that the Greek American community never really had. AHEPA’s friendly, indeed brotherly relations with President Franklin D. Roosevelt also enhanced the organization’s stature. FDR had been initiated as a member of AHEPA back when he was Governor of New York, Now AHEPA’S regular visits to the Oval Office took on an added significance. They weren’t the stiff, formal occasions they had been with Herbert Hoover and Silent Cal. An AHEPA visit to President Roosevelt a short time after brought about what the White House termed “an unusual procedure, ” as FDR announced a promise of U.S. aid to Greece in her hour of peril. The Greeks fought the Italians for five months and dealt Mussolini utter defeat. They managed to hold off Hitler’s massive war machine for another three weeks before being overwhelmed, That heroism captured the world’s admiration. The Greek War Relief Association (GWRA), spearheaded by the Skouras brothers and other AHEPANs in the movie theater business raised $4 million in food and supplies by May 1941. AHEPANS in various businesses donated a day’s or a week’s profits to the cause, and many contributions came from non-Greeks. AHEPANS provided about 90% of the labor force in GWRA efforts speculate historian Theodore Saloutos, thanks again to its grassroots strength. AHEPA’S 1942 convention, celebrating the Order’s 20th anniversary, was held in Atlanta. George Vournas of Washington DC was elected President and would lead the organization through the war years. At the Atlanta convention it was announced that the Treasury Department had named AHEPA an official Issuing Agent for U.S. War Bonds, an honor achieved by no other civic organization. Quotas were assigned to each chapter to reach a goal of $50 million in only four months. Steve Vasilakos, dubbed ‘AHEPA’S No. I War Bond Salesman” had long been a familiar face in front of the White House, selling peanuts from his pushcart He offered a free bag of goobers to each person who bought a bond. His first customer was Sam Rayburn, Speaker of the House of Representatives. The exchange was seen at the movies on the newsreel. There were many more customers, and the successful drive was extended. Michael Loris, a Brooklyn AHEPAN, sold 24,142 individual, small denomination bonds in twelve months. A Zanesville, Ohio AHEPAN sold $44,566 worth of War bonds in one day, Ultimately the project brought in revenues of $500 million. The success of the War Bond drive launched a new era for the AHEPA, an era of increased visibility, influence and involvement in Washington that continues to this day. In its so-called first phase, from 1922 to 1945, the emphasis was on “Americanization” and citizenship programs. Following the War AHEPA broadened its scope and horizons. Now over half of the membership was American-born. Many of AHEPA’s Post-War projects would be related to rebuilding a war-torn Greece and, in contrast to its original goal, keeping Hellenism alive among the American born generations of Greeks. Following World War Il AHEPANs continued raising money for hospitals in Greece and other Greek war relief programs, However, civil war was raging in the motherland, AHEPANs were concerned, So was the Truman Administration, On March 12, 1947 President Truman appealed to Congress for immediate military aid. Congress came through and the Truman Doctrine, as it came to be known, was vital in saving Greece from Communism. That year AHEPA’S first Health Center opened in Chrysoupolis, in northern Greece. Construction began on an AHEPA Wing at Athens’ Evangelismos Hospital. Other health centers were rising, though construction was often slowed and sometimes halted by guerilla attacks. AHEPA had come of age; there was no question about the loyalty of Greek Americans to the United States or about citizenship. The reason for establishing such an organization was now a proud memory and AHEPA’S enduring foundation. AHEPA continued its educational and humanitarian efforts and civic-minded programs, focusing much of its energy on a homeland in desperate need of help. In the vanguard, AHEPA passed a resolution urging self-determination for Cyprus as early as 1946, setting up a Cyprus Affairs Committee two years later. In 1950 AHEPA called the world’s attention to the estimated 28,000 children abducted by Communist forces in the Greek Civil War. In 1964 AHEPA sent its first delegation to Cyprus. And today there is AHEPA-PAC, AHEPA’S political action committee. In an effort to inform the Greek American community, as well as the larger American community and the Washington community in particular, AHEPA sponsors conferences on foreign affairs that bring together government officials, political scientists, leading journalists and, of course, AHEPANS, Last year’s forum focused on Cyprus; this year’s examines Greek-U.S. relations. AHEPA’S official voice is its magazine, edited by Elias Vlanton and Executive Director Timothy Maniatis, who holds the fort at National Headquarters in Washington. The first issue of the AHEPAN, edited by Achilles Catsonis, came out 58 years ago. In addition to press releases, salvos fired off to government officials and letters to the editors of the Wall Street journal, the New York Times and other publications large and small, AHEPA publishes its own materials, The most recent offering was Cyprus: From Independence to Partition by University of Indiana-Purdue University Professor Van Coufoudakis. In the early years AHEPA’S education program emphasized citizenship and Greek as well as American history. Today it’s a different story. With the third and fourth generations of Greek Americans coming of age, AHEPA is doing precisely what GAPA accused it of not doing and actually working against: that is, promoting and preserving Hellenism’s and Prime Ministers, ambassadors and spirit and values. Today AHEPA gives scholarships on the local and national levels to promising Greek American students. Its “Journey to Greece” program, for high school students, emphasizes Hellenic culture, history and language. AHEPA and individual AHEPANS have been a force in establishing Greek and Byzantine studies programs at colleges and universities around the country. As a civic-minded group AHEPA has always recognized Americans, Greek and non-Greek, who make valuable contributions to the community and society at large. These have included Presidents humanitarians, recipients of AHEPA award made in the name -of Socrates and Pericles. The William G, Chirgotis Award, made to outstanding collegiate athletes, was established in 1972, AHEPA also recognizes outstanding professional and amateur women in athletics. On the local, district and national levels, AHEPA and its junior orders sponsor a wide variety of athletic events and tournaments, believing, like the ancient Greeks, that sports and competition are an important part of daily and civic life. Devoted to ideals of American and Hellenic culture, education and progress, AHEPA, despite its critics, has achieved singular success, Since 1922 it has been vital force in the life of the Greek American community. AHEPA’S tradition is a proud one. Its legacy is a real one. Its mission goes on, setting sight on new horizons. AHEPA’S active role in the Greek American community’s development and achievements is a portrait of unselfish public service.